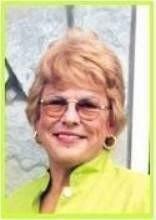 In June, 76-year-old Jacksonville, Florida-based Realtor Mary Anne Rolnick was murdered inside her home. A month later, she was sending an email to an agent more than 1,000 miles away, saying she was an agent who had an interested buyer client. One recipient of that email was Nancilee Holland, a Realtor based in Westchester County, New York. Curiosity and concern led Holland to do some extra investigating rather than trash the email. She Googled Mary Anne Rolnick’s name and quickly discovered that she had died the month prior, and her son was charged with her murder. Holland says she’s unsure of what the scammer wanted, but she suspects they would have tried to gain access to financial information. According to News 4 Jax, there’s at least one other Realtor in Phoenix, Arizona who reported getting an email, and no one else has come forward about this apparent scam. Email scams are common in the real estate industry, with scammers sending convincing (and sometimes not-so-convincing) emails that claim to be from the National Association of Realtors (NAR), state and local real estate associations and listing sites. In each of these scenarios, NAR and other associations give the same advice: don’t answer the emails, immediately report them to the Federal Bureau of Investigations’ Internet Crime Complaint Center and alert your local Realtor association. Trust your gut. If an email seems suspicious, delete it. If you have to send sensitive information — such as wire transfer number — via email, make sure your email is encrypted. Use the most up-to-date firewall and anti-virus technologies to protect your information. If you’ve been compromised, immediately change your username and password and notify anyone else whose information could have been exposed.